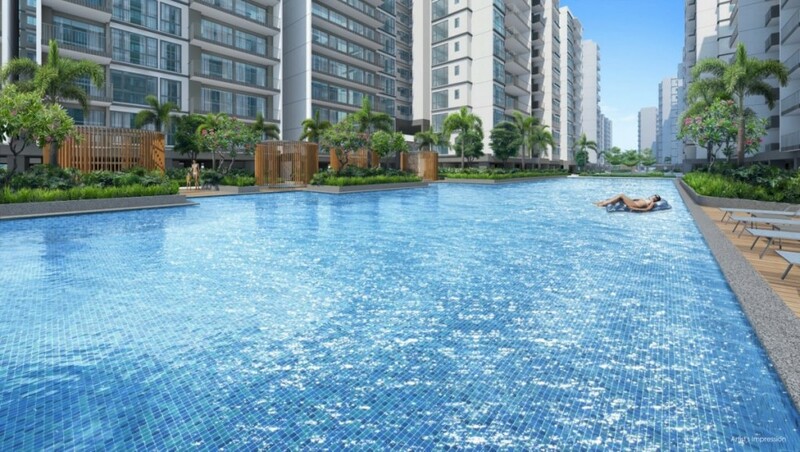 This is my review for Treasure at Tampines, an upcoming new residential project located in Tampines. 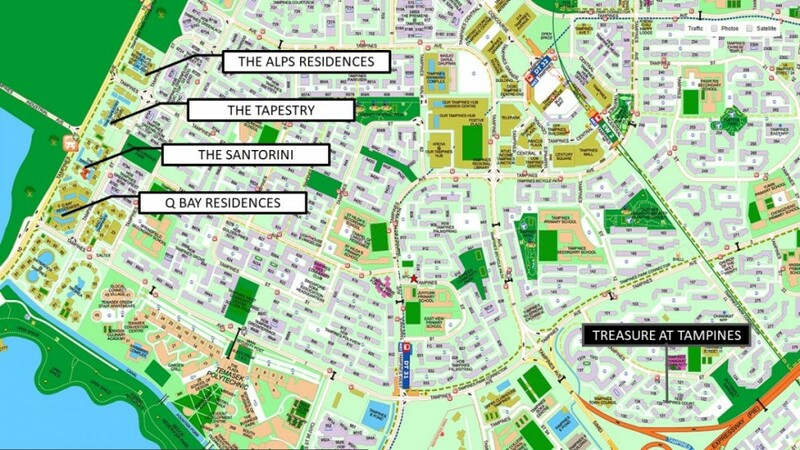 Location of Treasure at Tampines is at Tampines street 11 (Former Tampines Court). 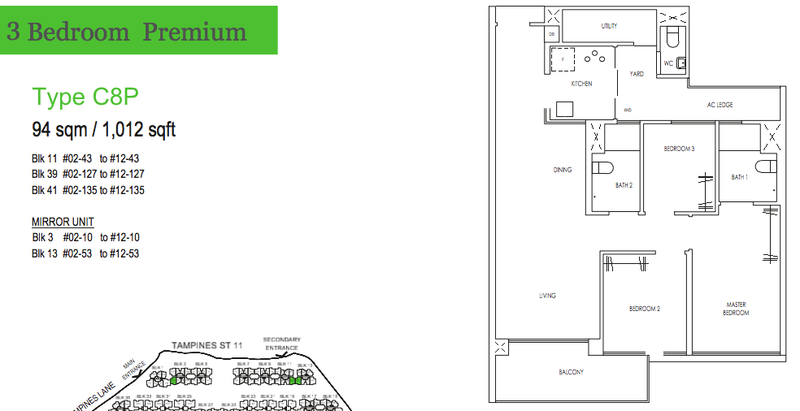 Price will be released by the developer during sales balloting day. 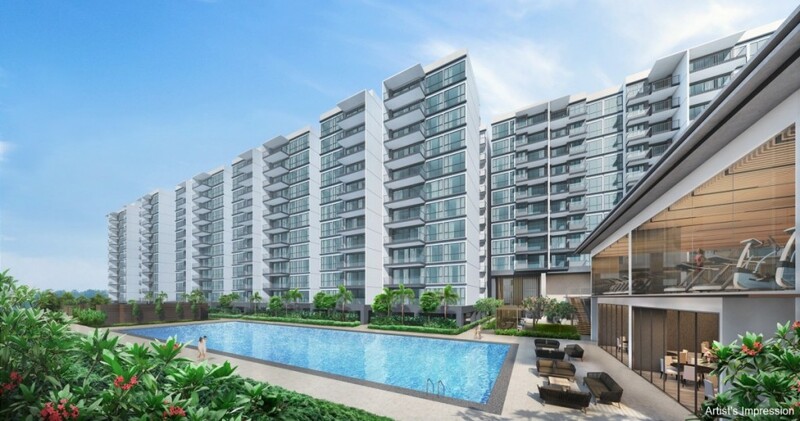 Personally, I think Tampines is one of the most sought after estates in Singapore due to the wide array of amenities available and also the connectivity to transport with a few different train stations serving all residents of Tampines. 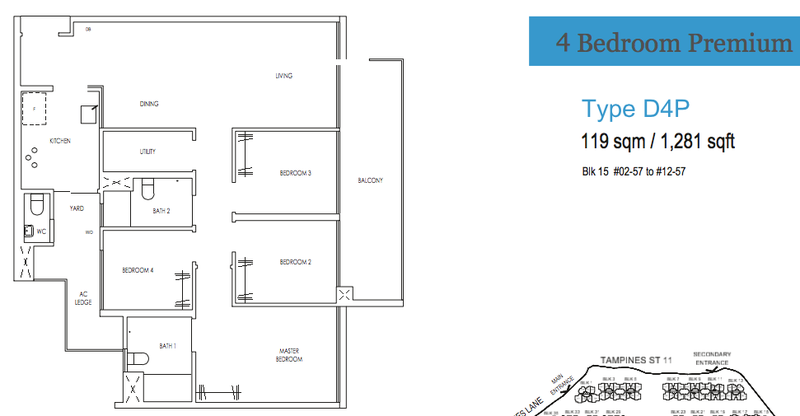 Treasure at Tampines – a 99-year leasehold development with 2,203 units developed by Sim Lian. 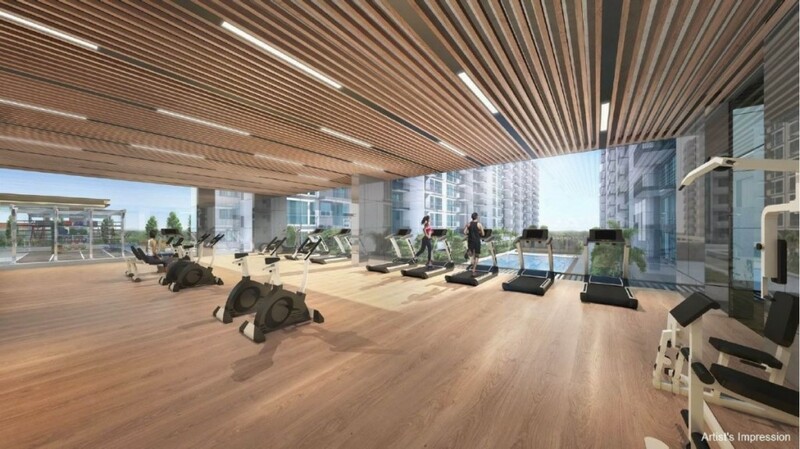 This will enormous project will surpass the current largest condo, D’leedon (1,715 units) by a mile. 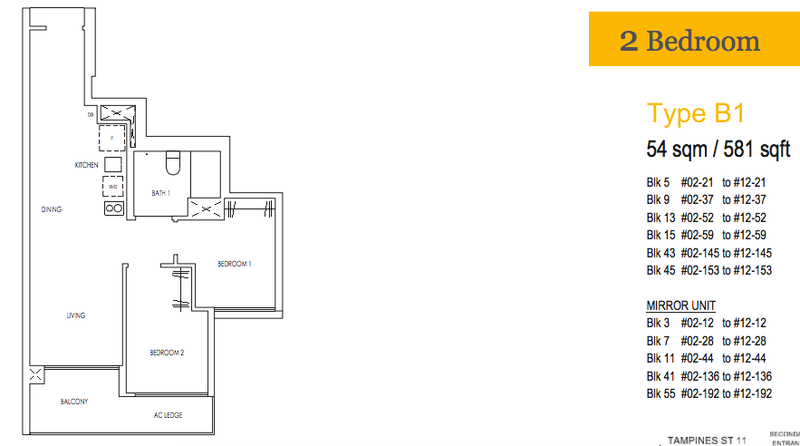 It is set to be the most affordable new launch in 2019 at an approximate starting price of S$1,280psf. 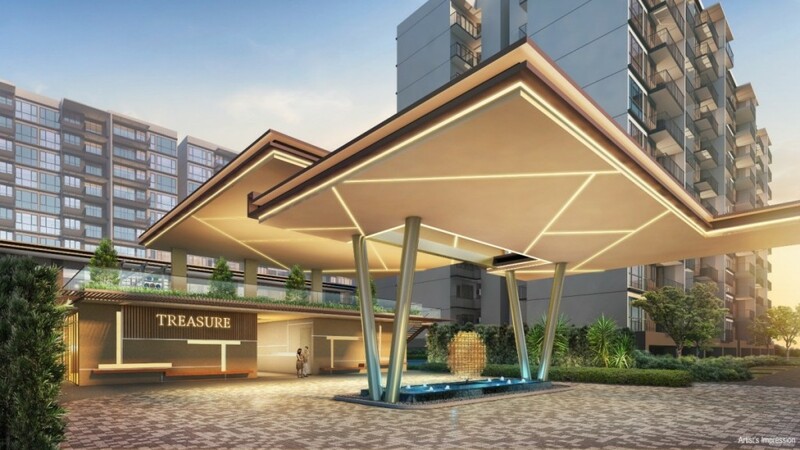 Treasure at Tampines is located along Tampines Street 11, replacing the former Tampines Court HUDC. It is not close to MRT. However, it is very close to the Tampines round market which features plenty of food stalls and fresh produce. 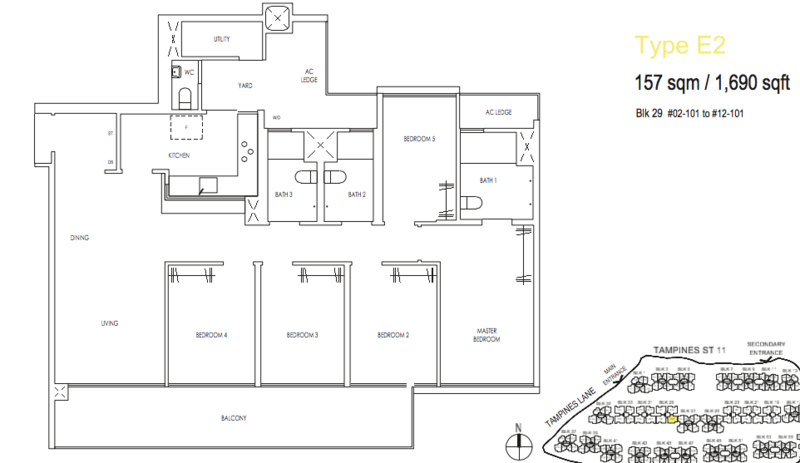 The surrounding is mostly HDB residential and towards the south, is an expressway (PIE). 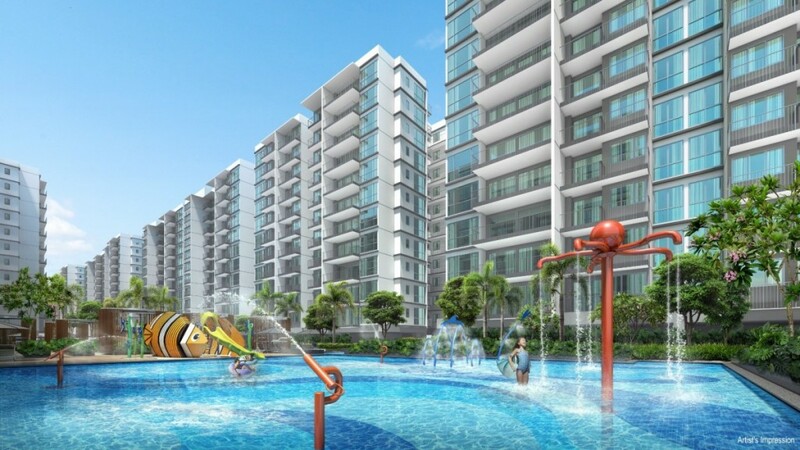 I believe the selling point for Tampines is that it is a fully functioning town with shopping malls, hospital, educational institutes, sports complex and many more amenities. 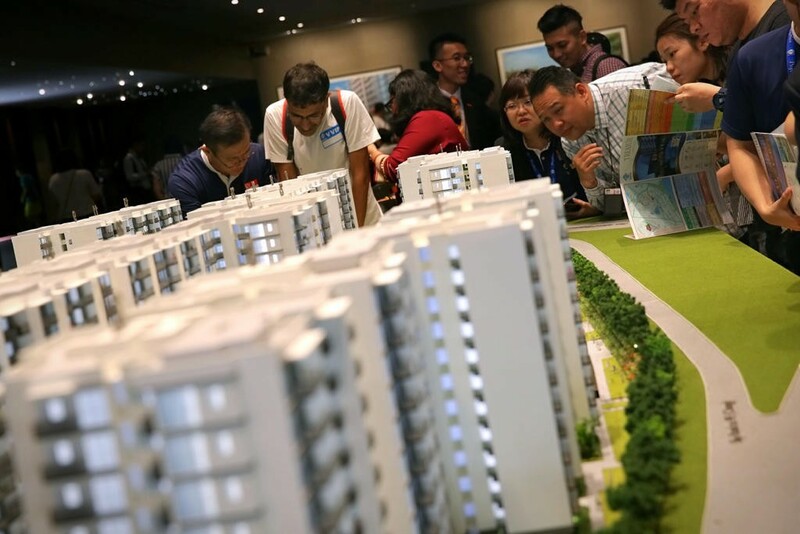 I can imagine majority residents of Treasure at Tampines to be HDB upgraders and first-time buyers who are looking for a property close to their parent’s homes. 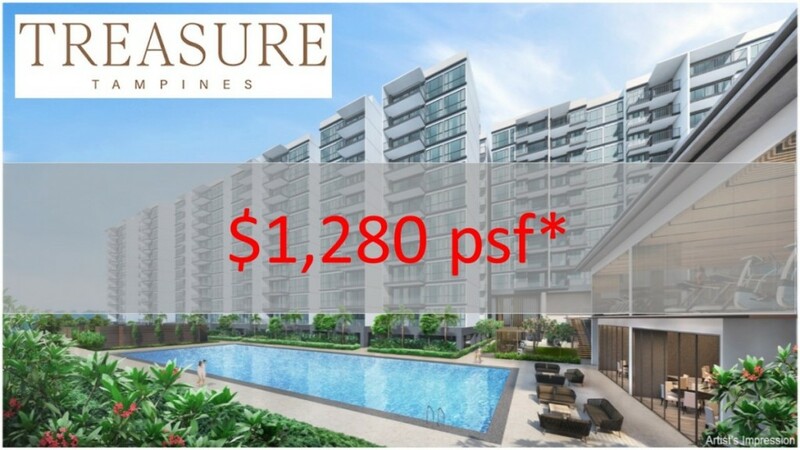 Developer’s for Treasure at Tampines indicated prices to be about $1,280psf which is to me is shockingly reasonable in today’s new launch climate. 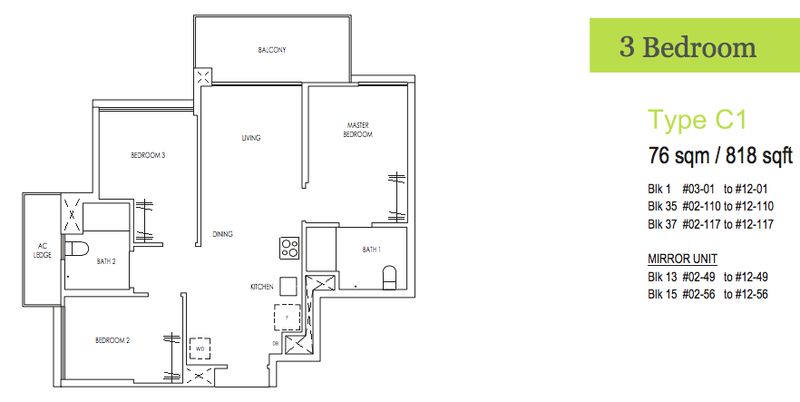 This is easily reflected by the throngs of buyers visiting the show flat during its preview. 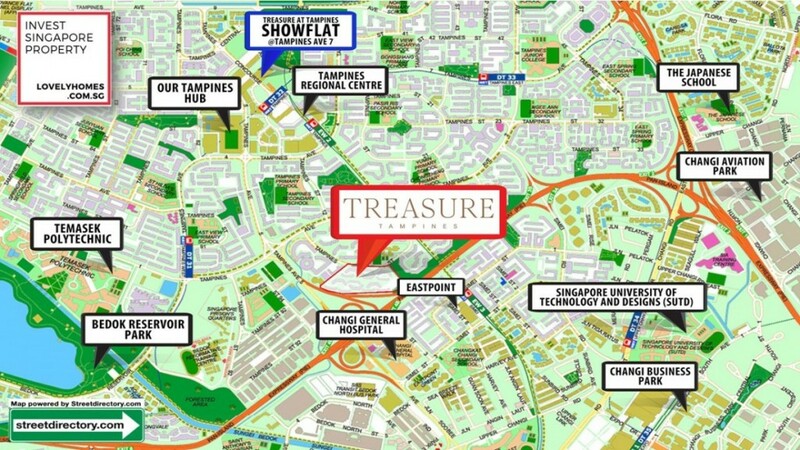 In comparison with other past, few launches along Tampines Street 86, Treasure at Tampines is priced likely higher with exception of The Tapestry which was launched in March 2018. 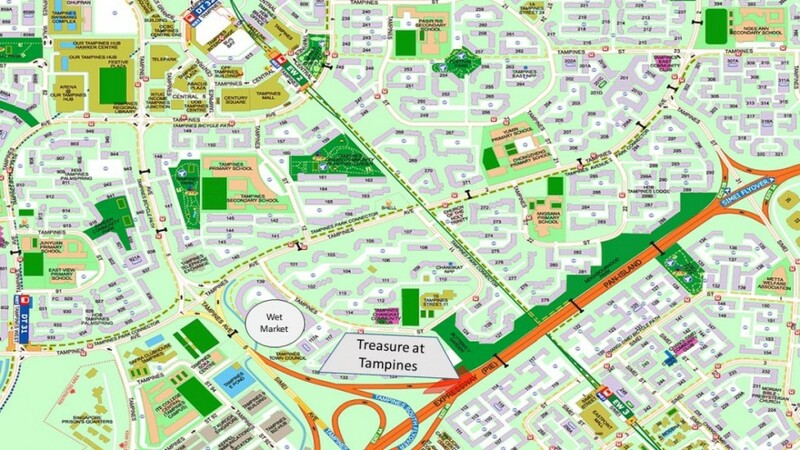 One thing we can consider is that the location for Treasure at Tampines is closer to central Singapore and more accessible to amenities. No. 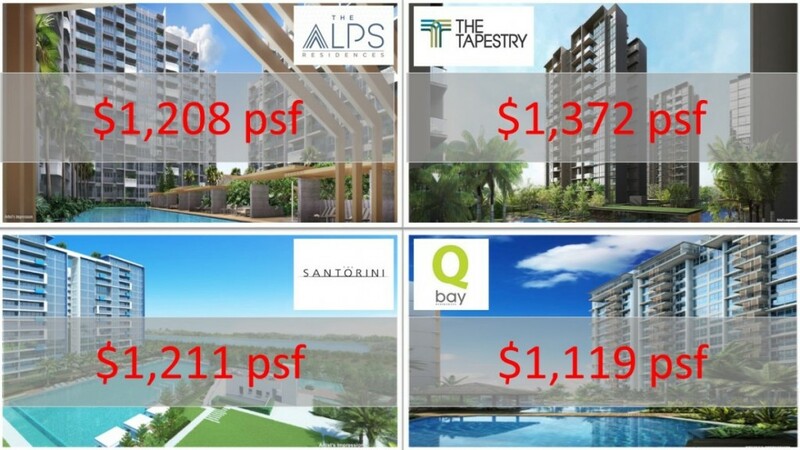 This is not indicative that prices will definitely appreciate for Treasure at Tampines as there are a lot of factors which will affect future prices more drastically. However, it is more certain that at a lower entry price would be safer as land prices will inevitably rise in future. 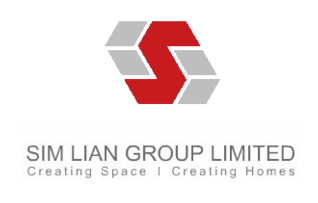 Sim Lian Development Group – has been in the construction industry for over 40 years across Singapore with an outstanding track record which has made them reputable. 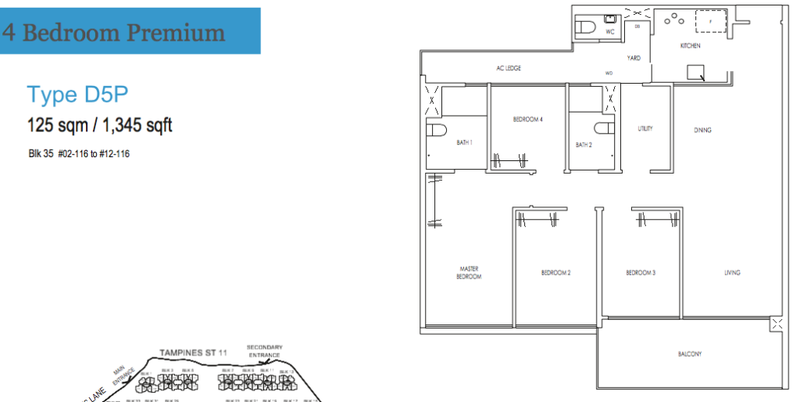 The fittings and finishings are rather mediocre as each unit comes with Electrolux kitchen appliances and household German brand, Hansgrohe, for sanitary wares. 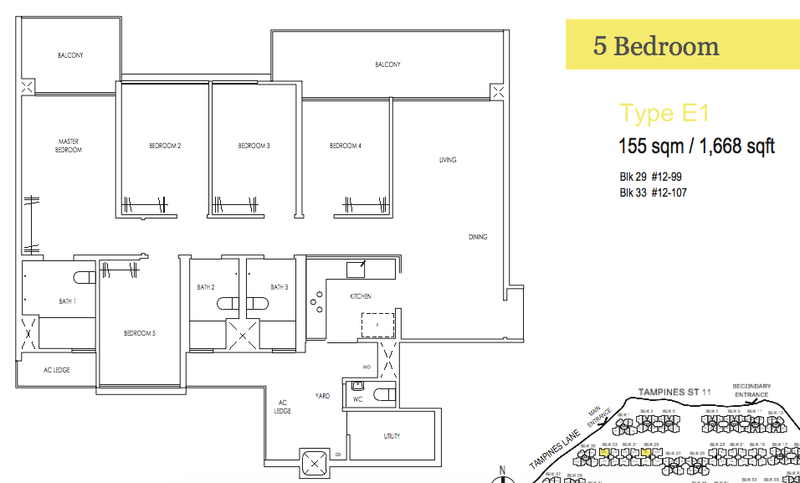 I think the biggest selling point for Treasures at Tampines would be the “lower than usual” entry price for new launch projects in current market conditions. 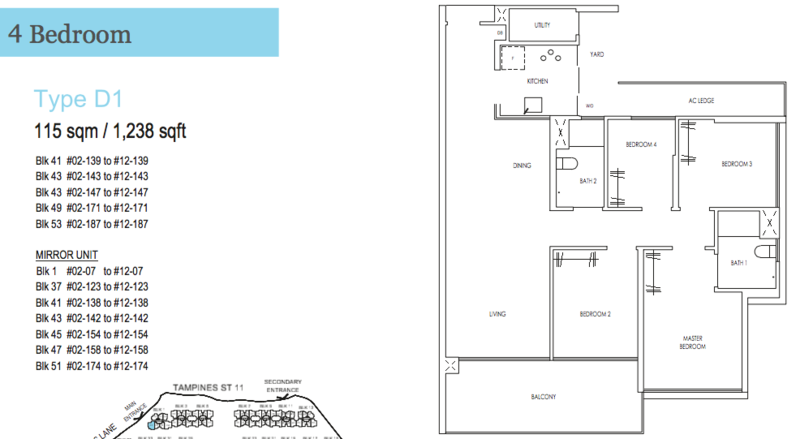 I would highly recommend HDB upgraders, who reside in Tampines to consider this project. 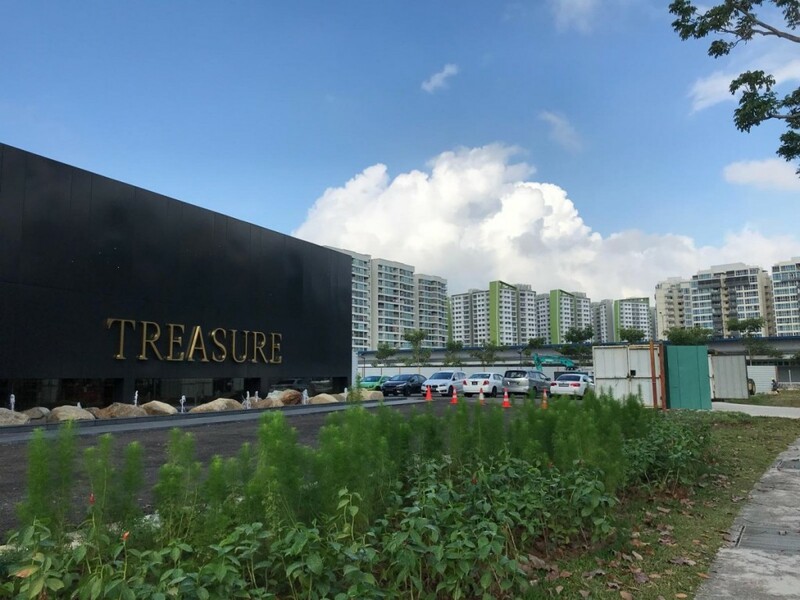 I do not think Treasures at Tampines is suitable for investors looking for rental yield as there other options around the area which are more viable and accessible. 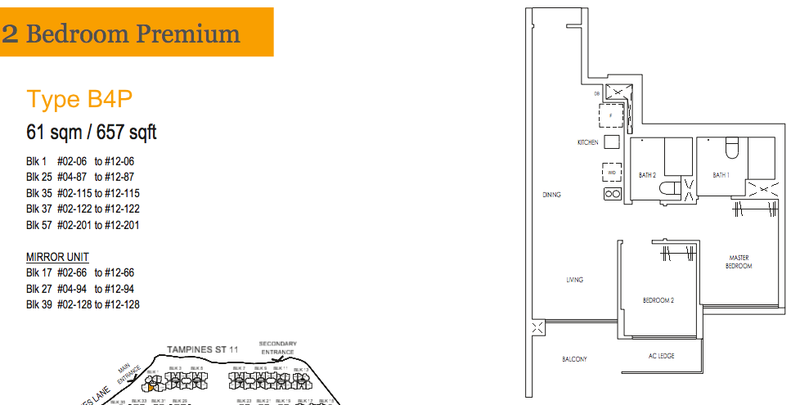 Interested to find out what Daryl lum thinks of Treasure at Tampines? 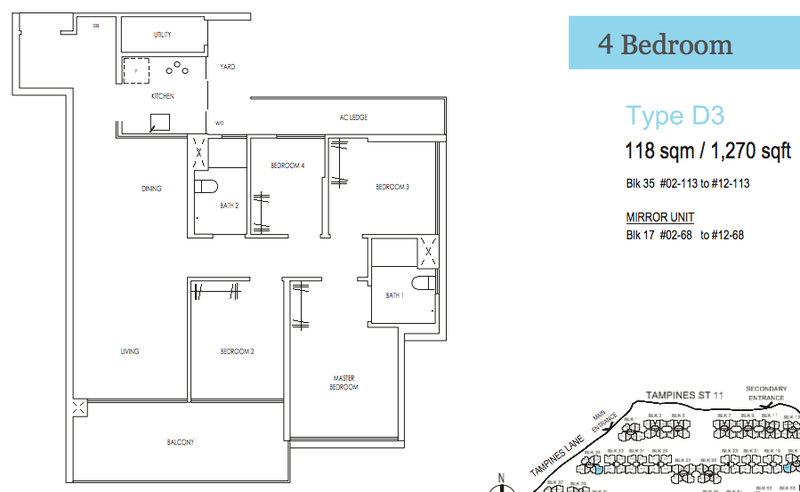 If you would like to have the Treasure at Tampines brochure, floor plans or pricing, do inform us.